If three is the magic number, then five must be the lucky one—or at least it was for former Guatemalan President Jorge Ubico when his government built El Palacio Nacional in Zone 1 of the capital. On each of the building’s five floors, opulence is grouped together in clusters of five. There are five sets of doors opening onto the presidential balcony, with five small windows above them. Five archways decorate each side of the interior courtyard and five sets of stained glass windows appear in many of the rooms. Reports say that on Ubico’s birthday, he would hang a large star in the palace, which also contained the number five. And all because his first and last names each contained five letters—something he considered to be a lucky omen. 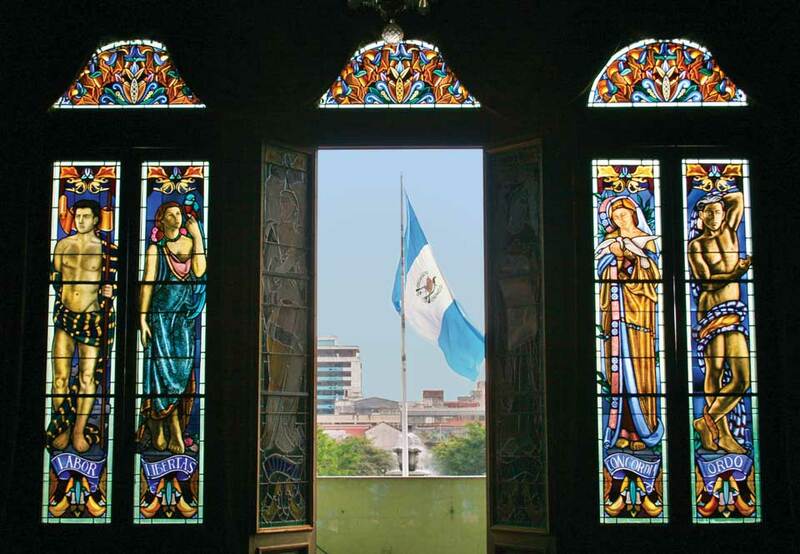 To this day, the renamed El Palacio Nacional de la Cultura remains one of the most important buildings in Guatemala and is used for the majority of presidential activities. 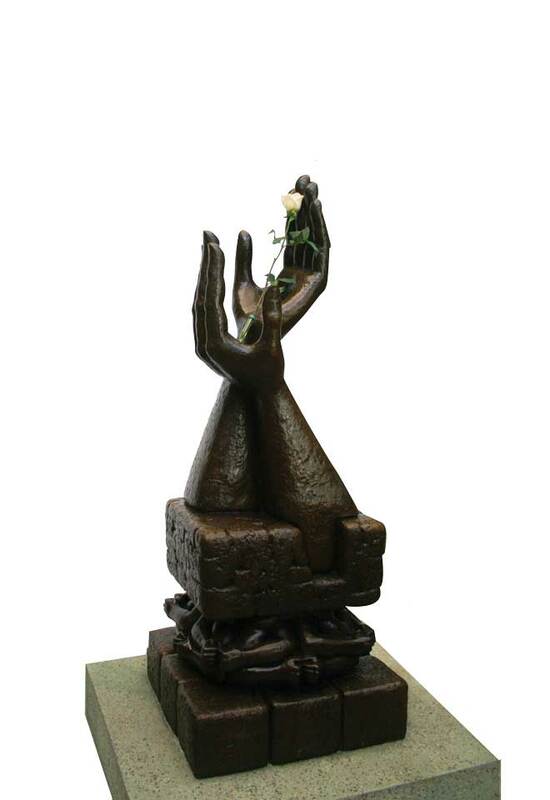 The 1996 Peace Accords were signed in the palace’s courtyard and ever since this date a fresh white rose has been placed in the palms of the peace statue every day, to mark the spot where the Guatemalan civil war was officially ended. 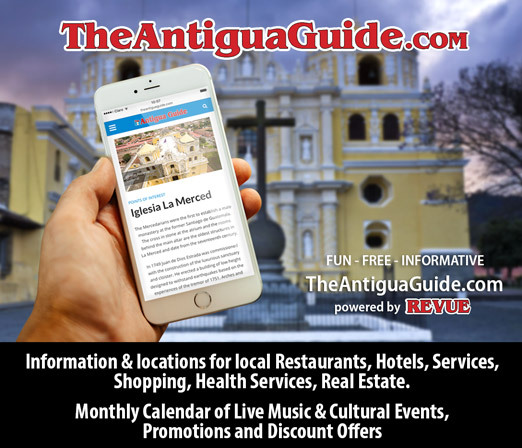 Although the palace was built in 1939 and completed in 1942, it has an antique feel to it, which could be due to its eclectic architectural style, or the fact that it was modelled on historic buildings in the Spanish city of Salamanca. Despite the palace’s European-looking exterior, its interior pays homage to Guatemala’s Mayan roots: two large murals depict the fusion of Spanish and Mayan cultures—referencing Don Quixote and Tecún Umán. 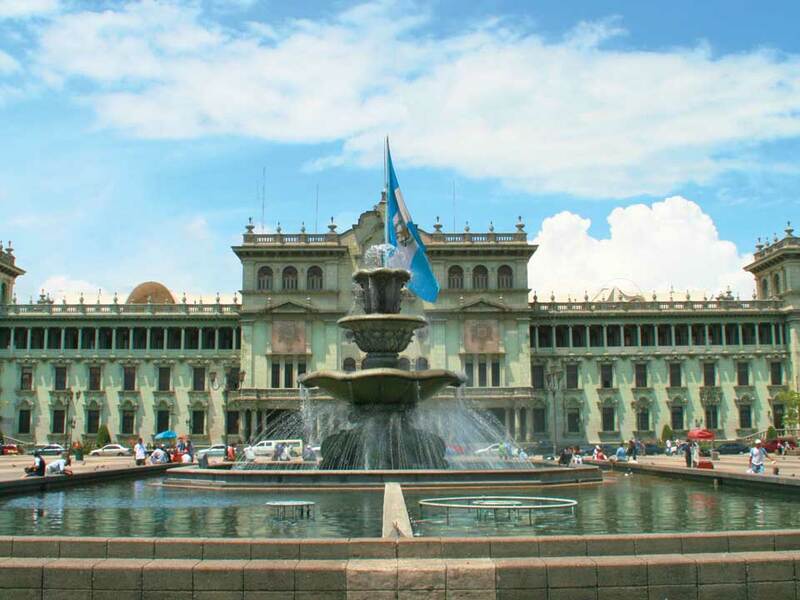 Although Ubico commissioned the palace, the military dictator hardly ever used it, as he was forced to resign eight months after its completion. No president has ever lived in the grand space and most of the rooms are now used as offices by the Ministry of Sport and Culture. In the center of one of the main rooms, la plaza mayor, lies a spot called kilometro cero, from which the origin of all roads in the republic is calculated. Famed for being an arrogant and paranoid leader, Ubico left his fingerprint on each of the 718 door handles in the palace. 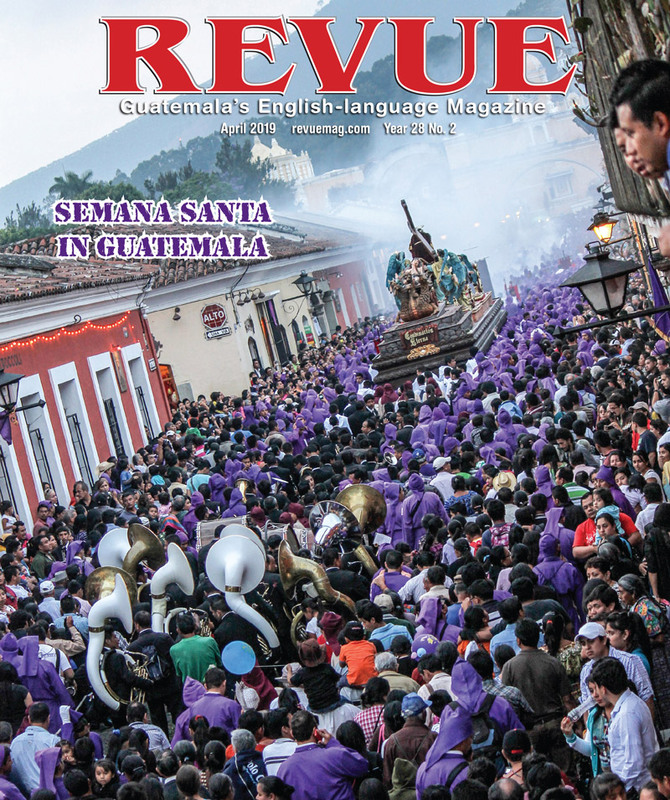 He had 10 stained glass windows made and each one symbolizes a character trait—from peacefulness to a strong work ethic—that he believed Guatemalans should possess. 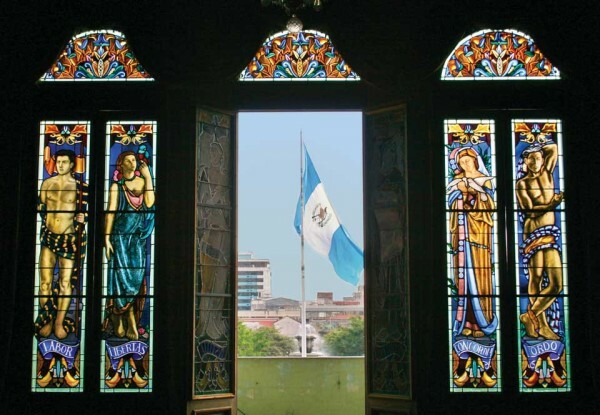 Free for Guatemalans to enter and Q40 for foreigners, El Palacio Nacional de la Cultura is well worth a visit if you happen to be passing through Zone 1. It is open every day with free, guided tours at half-hour intervals from 9:30 a.m. until 4 p.m.